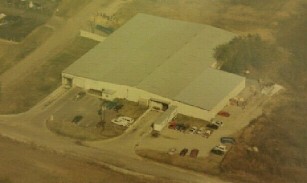 Our glass supply business is a subsidiary of Metro Corporation, which launched more than 30 years ago. Since that time, we have expanded to include three companies with a total of seven facilities across the nation. With the leadership and direction of our owner Craig Pope, our continued growth and success is grounded in our exceptional customer service, quality products, and short lead times, giving us a competitive edge. Aetna Glass Company is one of the largest glass fabricators and distributors to the Hardware Wholesale and Picture Framing Industries in the United States. It is a privately owned business with three optimally placed locations, specific to meeting our customers needs. Since established in 1983, it has been our goal to supply our customers with the highest quality American Made products at the most competitive prices. We provide the best lead times in our industry, and pride ourselves on our long lasting relationships and customer services throughout the industry.